Since the start of 2015, the Israeli occupation army has kidnapped over 100 businessmen during their travel through the Beit Hanoun (Erez) border crossing, north of the Gaza Strip, and revoked entry permits for about 40 percent of them. According to al-Mizan Center for Human Rights, the Israeli army escalated lately its arrest of Gazan businessmen, although they already obtained travel permits. The Israeli army also prevented, during the same period, 200 companies from conducting transactions overseas and banned the entry of many raw materials and needs used in manufacturing industry. The energy authority in the Gaza Strip has announced late Thursday that the besieged coastal enclave’s sole power plant will not stop running the next days. 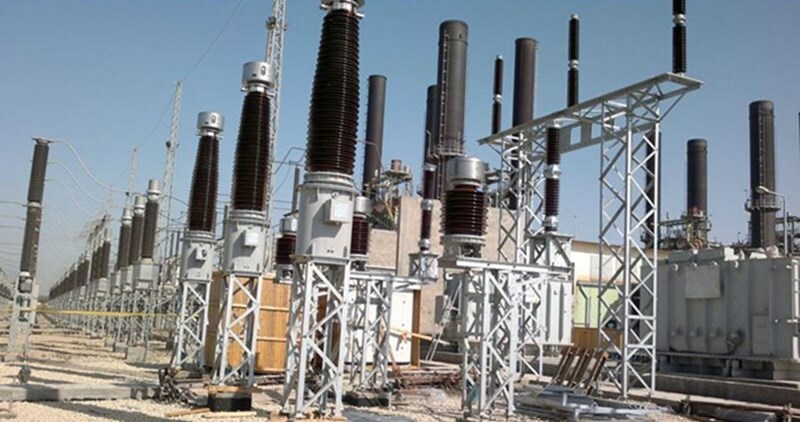 Due to the Israeli opening of Karam Abu Salem crossing for the entry of fuel supplies, the power plant will not stop running, the authority explained. The authority had earlier declared that due to the sudden closure of Karam Abu Salem crossing last night, Gaza’s power plant would be temporary shut down for few days. The Israeli authorities had earlier closed Karam Abu Salem crossing, Gaza’s sole commercial passageway, without any prior notice or known reasons. The Karam Abu Salem is the only commercial crossing operating in Gaza for the entry of goods, aid and fuel. It is regularly closed each Friday and Saturday and during the Jewish holidays. Gaza’s sole power plant shuts down Thursday morning due to the fuel shortage after Israel decided to close Karam Abu Salem commercial crossing, the Palestinian energy authority revealed. Due to the sudden closure of Abu Salem crossing last night, Gaza’s power plant would be temporary stopped for few days, the authority clarified. The authority expressed hope that the crossing’s closure would not last for long. The Israeli authorities have earlier closed Karam Abu Salem crossing, Gaza’s sole commercial passageway, without any prior notice or known reasons. The Karam Abu Salem is the only commercial crossing operating in Gaza for the entry of goods, aid and fuel. It is regularly closed each Friday and Saturday and during the Jewish holidays. Israeli soldiers shot and injured, on Thursday at dawn, a young Palestinian man, and kidnapped at least one, after the army and settlers invaded the eastern area of Nablus, in the northern part of the occupied West Bank. 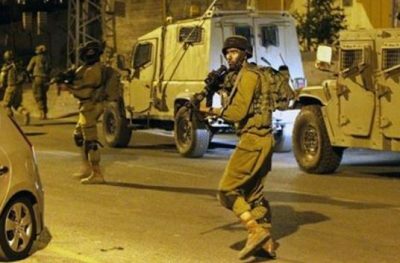 Media sources in Nablus said fourteen Israeli buses, and many army vehicles invaded the city, and headed towards Joseph’s Tomb, east of Nablus. Clashes took place between the soldiers and many local youngsters, who hurled stones and empty bottles at the invading vehicles, while the soldiers fired life rounds, rubber-coated steel bullets, gas bombs and concussion grenades. One Palestinian was shot with an exploding bullet in his leg, and was moved to a hospital in Nablus, suffering a moderate injury, while many others suffered the effects of teargas inhalation. 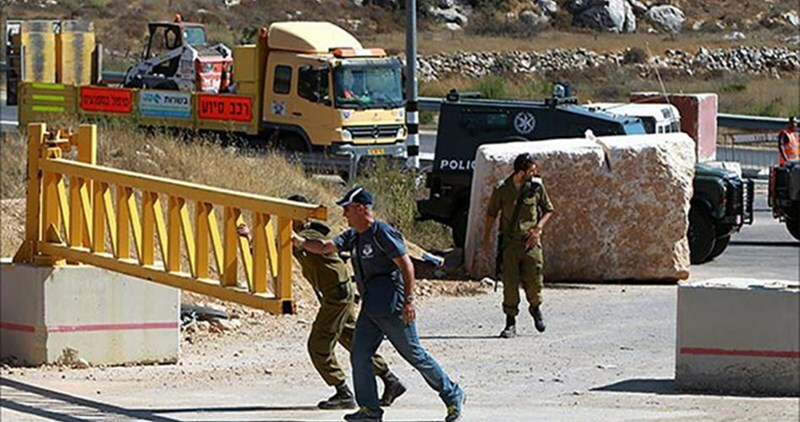 The soldiers also kidnapped another Palestinian, and took him to an unknown destination. Also, a large number of wood boards were burnt after a number of Israeli gas bombs, and concussion grenades, were fired into a carpentry workshop. The clashes were mainly focused in the al-Hisba Street area, Amman Street, and the northern entrance of Balata refugee camp, where many youngster burnt tires and hurled empty bottles and Molotov cocktails at the military vehicles. Firefighters rushed to the area and extinguished the fire before its spread into a larger area. On Wednesday evening, Israeli navy ships opened fire on a number of Palestinian fishing boats in Gaza, causing damage but no injuries. Israeli soldiers forced, on Monday morning, traders from occupied Jerusalem to close their shops. Al Ray sources said that the occupation ordered the traders to close their shops in Salah al-Din, al-Sultan Suleiman, and al-Rashid streets, in the Old City district of Jerusalem. The sources also explained that the soldiers spread out in Salah al-Din street and in the downtown area, ordering the traders to close their shops amid a state of tension . 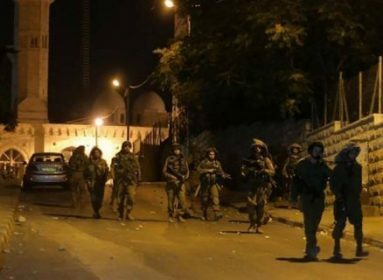 The command was issued after an Israeli soldier shot Ayman al-kurd (20 years old), in Rass Al-Amood neighborhood, Silwan, south of Al-Aqsa Mosque, for reportedly stabbing two so-called “border guards” at Bab A-Sahera gate. The border guards were injured and sent to a local hospital. Also on Monday, extremist Israeli settlers headed by the American-born rabbi Yehuda Glick resumed their regular raids on al-Aqsa Mosque, via the Moroccan gate, under heavy guard of Israeli police. 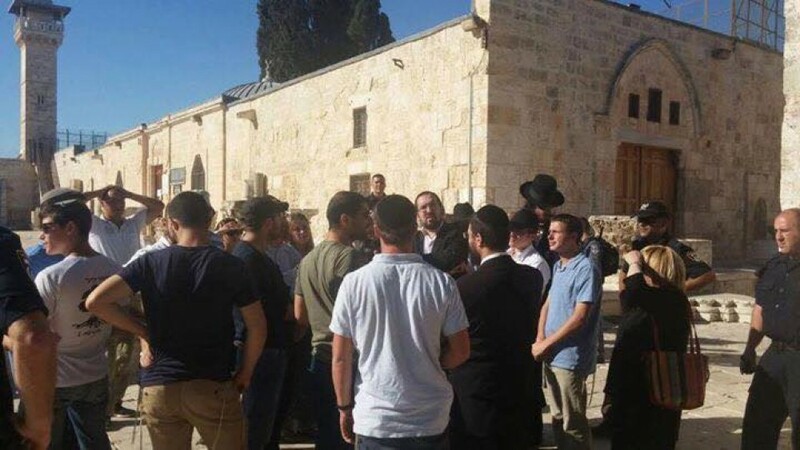 Jerusalemite sources reported that the settlers stormed the courtyards of the mosque in groups accompanied by rabbis. The sources reported that known extremist rabbi Yehuda Glick tried to storm the courtyard of the holy mosque, but performed Talmudic rituals at Alqtanin gate. Worshippers defended the Islamic holy site and banned the settlers from touring. Israeli settlers raid the courtyards of al-Aqsa Mosque on an almost daily basis, in order to set up a temporal and spatial division of the Islamic holy site. Israeli soldiers invaded, on Saturday evening, the town of al-‘Ezariyya, east of occupied East Jerusalem, and fired many gas bombs, causing scores of Palestinians to suffer the effects of teargas inhalation, in addition to burning a clothing store. Medical sources said dozens of Palestinians, including many children, suffered the effects of teargas inhalation, especially after the gas bombs struck many homes and stores. Palestinian medics rushed to the town, and provided the needed aid to the wounded Palestinians. In addition, a women’s clothing store was burnt after being struck by a number of gas bombs and concussion grenades. Store owner Wisam Emtour said the clothes, and store contents were burnt, costing him a very serious financial loss. He added that the soldiers deliberately targeted his store and many nearby shops, although they were filled with customers, an issue that led to dozens of injuries due to smoke and gas inhalation. Many residents rushed to extinguish the fire, before Palestinian fighters arrived at the scene and controlled it. Gazan fishermen organized Saturday morning a race into the 6 miles which the Israeli occupation has approved for them. The Oslo Accords, signed in 1993, as well as subsequent economic protocols, provide for the right of fishermen in Gaza to sail within a 20 nautical miles radius for fishing purposes. However, this right has not been implemented for over 20 years. After the latest Israeli attack on the Gaza Strip in July 2014, the Israeli occupation allowed fishermen access to only a six nautical miles radius. However, the Fishermen’s Union said that the Israeli naval forces hinder the fishing activities off Gaza’s coast and opens fire on their boats on an almost daily basis. The race was organized with the aim of shedding light on the continued suffering of thousands of fishermen in Gaza Strip, Nizar Ayyash, chairman of the Gaza Fishermen’s Union, told the PIC reporter. The World Bank economic report will present its findings to the Ad Hoc Liaison committee (AHLC), a policy-level meeting for development assistance to the Palestinian people, on September 19, 2016 in New York. “The Palestinian economic outlook is worrying with serious consequences on income, opportunity, and well-being. Not only will it affect the Palestinian Authority’s capacity to deliver services to its citizens, it may also lead to wider economic problems and instability,” said Marina Wes, Country Director for West Bank and Gaza. The report states that, over the last decade, the Palestinian Authority’s (PA) fiscal consolidation efforts led to a decline in the deficit by 15 percent of GDP – an achievement rarely seen in other places around the world. Nevertheless, the PA’s finances remain fragile with declining budget support leading to a projected financing gap of about US$600 million in 2016. The PA’s actions will not be enough to fully close the gap, particularly since local borrowing opportunities are now largely exhausted. Therefore, in the short-term donor support and in particular budget support is essential to avoid a fiscal crisis leading to wider economic problems. Donor aid remains key for improving the humanitarian situation in Gaza. Out of the US$3.5 billion pledged at the Cairo Conference for rebuilding Gaza (2014-2017), 46 percent has been disbursed, which means it is US$1.3 billion behind schedule. Critically, only 16 percent of the total Gaza recovery needs outlined in the detailed assessment that was prepared after the 2014 war have been addressed. The report urged the donors to meet their commitments and to prioritize expenditures in line with the needs assessment. “Over 70,000 people are suffering from prolonged internal displacement. Only 10.7 percent of the 11,000 housing units that were totally destroyed in the war have been rebuilt to date, and about 50 percent of partially and severely damaged houses still need to be repaired. 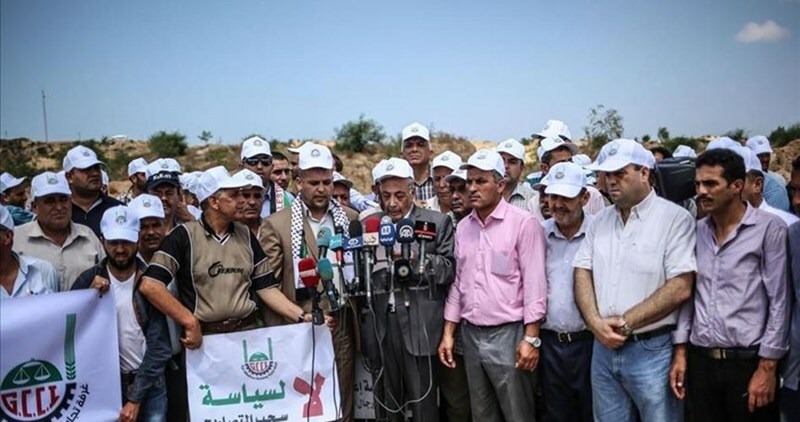 The situation in Gaza is of great concern and the conditions required for post-reconstruction sustainable economic growth are not being put in place,” said Wes. Despite progress in recent years, Palestinian territories still rank 129th out of 189 countries in the World Bank’s 2016 Doing Business. Israeli restrictions remain the main constraint to Palestinian economic competitiveness and have pushed private investment levels to amongst the lowest in the world, particularly the ones on Area C which could increase Palestinian GDP by 35 percent and lead to a similar increase in employment. GDP losses in Gaza since the blockade of 2007 are above 50 percent, the report concluded. The Israeli occupation forces (IOF) overnight on Saturday kidnapped a Palestinian youngster in Beita town, to the south of the northern West Bank city of Nablus. Reporting from the abduction scene, a PIC news correspondent said a Palestinian youth was arrested by an Israeli occupation patrol in central Beita town. Calling for help, the child kept crying out so loud: “I am from Osrin village! I am from Osrin village”, added the correspondent. The captive was aggressively beaten by the IOF soldiers and dragged to an Israeli military jeep moments afterwards. In a related development, the Israeli occupation soldiers detained two Palestinian young men from Beita for over 12 hours at the Askar camp in Hawara. 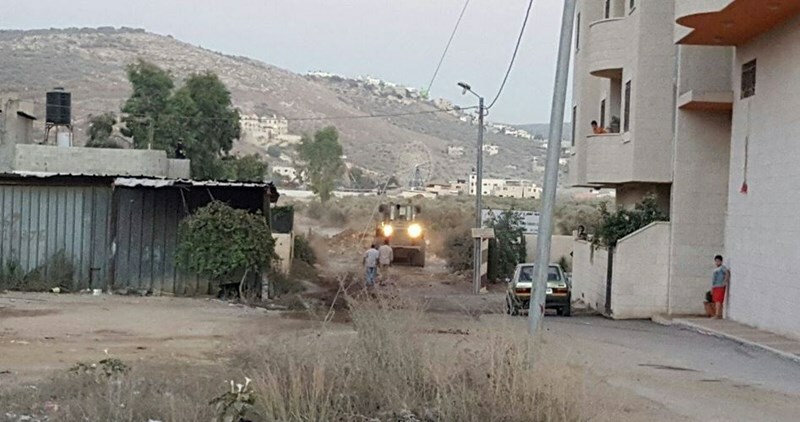 At predawn time on Sunday, Israeli army bulldozers rolled into southern Nablus villages after they removed the sand barriers and concrete roadblocks set up across access roads. A blockade imposed by the occupation army on over 18 villages in southern Nablus over the past few days blocked Palestinians’ movement in and out and inflicted heavy losses on Palestinian traders and shopkeepers. The occupation authorities claimed the blockade came in response to Palestinian stone-hurling against Israeli settlers residing in illegal settlement outposts across the occupied West Bank. Violent clashes erupted in Hawara town south of Nablus after Israeli bulldozers closed the main roads in the town. Eyewitnesses affirmed that the clashes broke out at 6 p.m. when Israeli bulldozers stormed the town amid heavy firing of teargas bombs and erected concrete blocks in the main roads, restricting the locals’ movement. Commercial shops were also forced to close down. 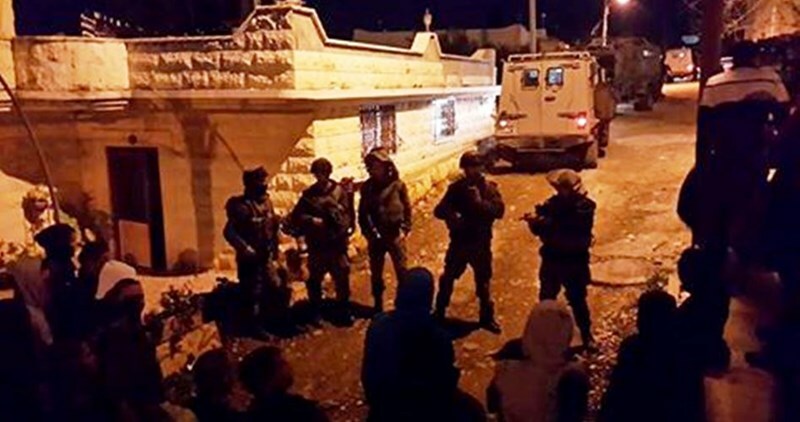 Hawara town has been witnessing almost-daily attacks and raids by Israeli forces under the pretext of protecting the neighboring illegal settlements. Meanwhile, Israeli forces stormed Friday evening Zababda town south of Jenin which led to the outbreak of violent clashes. Local sources told the PIC reporter that Israeli military vehicles stormed the town before deploying throughout its neighborhoods. Local citizens were investigated during the raid, which led to a state of tension among them. During the raid, several young men stoned Israeli forces who responded by firing teargas bombs, rubber and live bullets at them. Several injuries were reported during the confrontations. 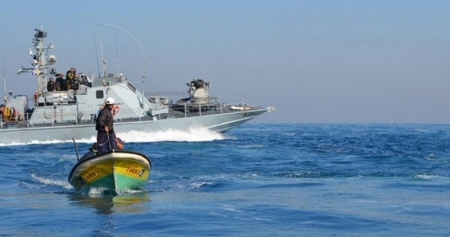 Israeli navy ships opened fired, on Thursday, at a number of Palestinian fishing boats close to the shore in the besieged Gaza Strip, kidnapped five fishers and confiscated their boat. 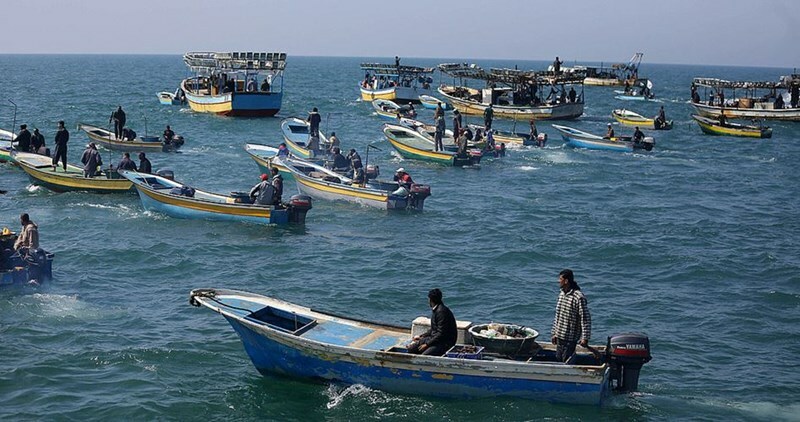 Zakariyya Bakr, the head of the Fishers Committees at the Union of Agricultural Committees, said the navy ships fired many live rounds towards the boats, west of Wadi Gaza area, less than 4 nautical miles from the shore, and kidnapped five fishers. Bakr added that the kidnapped fishers have been identified as Mohammad Abdul-Mo’ty al-Habeel, Abdul-Mo’ty Ibrahim al-Habeel, Fayez Abu Fool and Ali Ayman al-Habeel, and Ahmad Mohammad al-‘Arayshy. The attack is part of frequent violations against the fishers in Gaza waters, in addition to attacks targeting workers and farmers in Palestinian lands across the border fence.